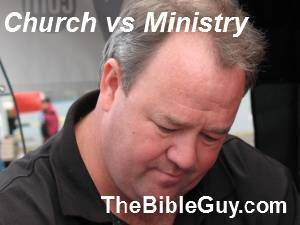 Chapter 4 – CHURCH VS MINISTRY The Calendar! Chapter 4 –THE CALENDAR & POSSIBLE SCHEDULE! The delicate balance of Church and Ministry come from my book Church what it is in Chapter 13. 1st Priority: Whatever it takes to get each family in order: spiritually, financially, relationships and the very function of their houses. 2nd Priority: Meet at least once a week as The True Church, you family or a couple of families come together, have a meal, remember our Lord’s death & resurrection until He calls us home. Share life victories & challenges in the living room, pray & read a scripture as Jesus leads the meeting. Close by praying for those we may touch the rest of the week. 3rd Priority: Purpose days & times to be involved in your community, work, school, neighbourhood to witness, pray for the lost and bring them to Christ. If your neighbour asks if you would like to join in on a community wide garage sale ON SUNDAY your schedule should be free enough to always say: “Yes, of course, thanks for asking me!” If on the other hand you were to say no I have to go to church that day, your witness just became powerless! 4th Priority: Disciple that new born again person on a weekly basis. Pray for him every day, call him several times a week with an encouraging word, meet with him once a week to go over his discipleship homework, assimilate him into your once a week group meeting and then if the ministry center has any resources he could use, then introduce him! But let NOTHING in the ministry center distract you from Being The True Church. (Remember The True Church can function without anything listed in this following section! Therefore the activities of The True Church need to have the greatest priority and not be in competition with the ministry. At best ministry events should be to support, train & equip The True Church to do the “work of the ministry in their homes. The True Church is not a “program” of the ministry; it is the bulls-eye. FYI: people from other fellowships or other towns may attend & support the following ministries and the local folks should never be demanded to support or forced to “show up at any of these events). 10:30 Start Celebration (not a service) Celebrate Jesus, Celebrate! 6:30 Anything! A specific study series. A specific on going prayer & prophetic session for the city. All night singing & praise. A guest speaker. Wow what freedom. 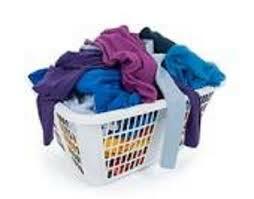 Monday – Friday Schedule in the Ministry Center depends on vision, manpower & resources. (Just remember all of this has nothing to do with The True Church, these are just ministries that The True Church is involved in to share the Love of God. Therefore there could be speciality classes every night, a once a week free medical clinic one day a week, or clothing bank, food bank, a team trained to have free prayer for walk-ins or appointments, a bookstore, Daycare, or any other business of integrity that would add to the ministry. Saturday Schedule in the Ministry this could be your most productive day of all. Seminars, all day or Saturday school, gathering place for a citywide food-drive, or Saturday night band for evangelizing youth. Click to go to: CHAPTER FIVE!